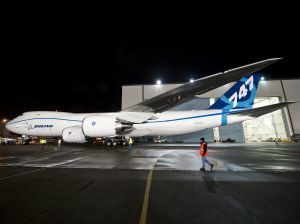 Boeing to make first flight? It is amazing to be reminded but last week’s Dubai Airshow was the 11th in the biennial series with 890 exhibitors from 47 countries and getting on for 50,000 visitors. Dubai attracted the world’s most advanced aircraft to its air show but organisers had few surprises with contracts for new aircraft. The value of deals announced during the five-day event, £13bn, paled in comparison with two years ago, when Gulf airlines led a US$155bn spending spree. Activity in the halls and static display area was a little more energetic with a third exhibition hall available and more than 120 aircraft on display. European plane maker Airbus was the clear winner in the sales race receiving more than five times the orders by value of US rival Boeing, but in truth the figures are academic, plane makers always keen to use show opportunities to announce sales. Airbus received US$5.3bn (£3.2bn) in orders and letters of intent, against two orders worth US$800m from Boeing. Chief Operating Officer John Leahy said: "We had a good air show, better than many expected. Our industry is not out of the woods yet. There will be a difficult winter ahead of us. But with the deals we made in Dubai and the interest in our products that we saw here, spring may not be that far away." Yemenia ordered ten Airbus A320. Ethiopian Airlines placed a commitment for 12 Airbus A350-900s worth US$2.9bn, and Senegal Airlines, the new national carrier of the Republic of Senegal, signed a letter of intent to purchase four A320 family aircraft and two A330s. 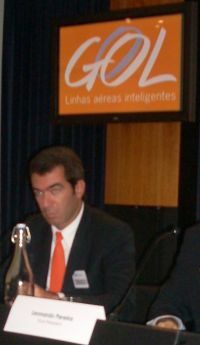 The airline will launch services in early 2010 from its hub in Dakar to destinations in Africa and Europe. Airbus officials also announced a requirement for one A330-200 and one Airbus A320 from Nepal Airlines. 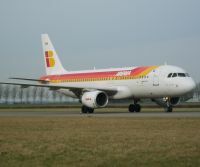 The manufacturer also revealed its sharklets, a new fuel-saving device on the wings of its best-selling A320 aircraft. 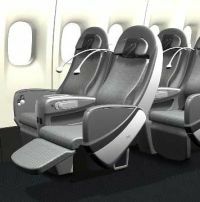 Air New Zealand will start taking delivery of these aircraft in 2012. His comments echo those of Airbus President Tom Enders earlier this week. 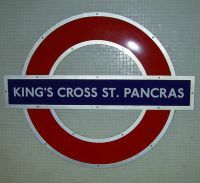 Mr Enders had said the market was improving and added there was no longer talk of cancellations and deferrals. 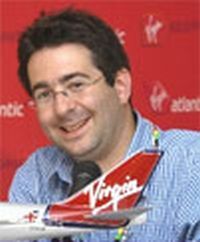 He said: “We are at the end of a very difficult year for both airlines and manufacturers. 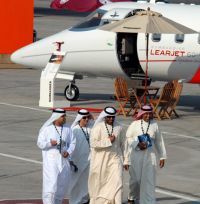 But the orders and announcements made at this air show in Dubai send a very strong signal of recovery in 2010 for the whole industry." Switzerland-based executive jet operator Comlux announced the purchase of its third Airbus Corporate Jet (ACJ) at the show. 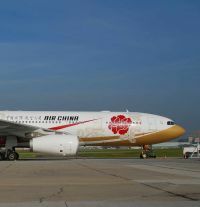 The order brings its total fleet of Airbus corporate jets to ten aircraft including four A318s, three ACJs, two A320 Prestiges and an A330-200 Prestige. However it was not just the “big two” who were announcing orders. 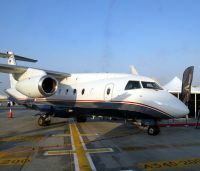 Brazilian manufacturer Embraer brought its new Lineage 1000 to the show. A conversion of the poplar E-190, the aircraft can be configured for a variety of roles. A few places further down the static line Embraer's brand new Phenom 100 VLJ was on display. 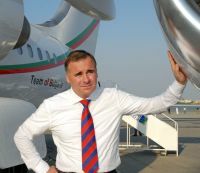 Oman Air signed a contract for five Embraer 175s at the show. The deal also includes purchase rights for another five aircraft. 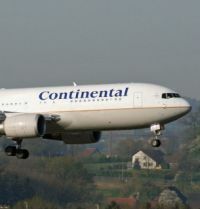 The initial delivery is scheduled for the first quarter of 2011. But the main activity in the executive market appeared to be the recycling of older airframes. A luxuriously appointed Avro Business Jet attracted a large number of visitors during the week. Buyers can expect to receive change from US$20m for a fully refurbished and bespoke styled aircraft Steward Cordner of BAe Systems confirmed. 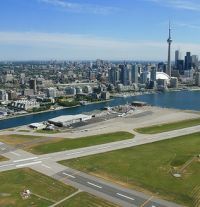 Following its early successes with the conversion of Bombardier CRJ-200s Project Phoenix, a Dubai-based company, is looking at moving into new airliner types including Airbus and Boeing. 328 Support Services in Germany announced its securing FAA Repair Station Approval enabling them to expand conversion activity on the type into the USA. 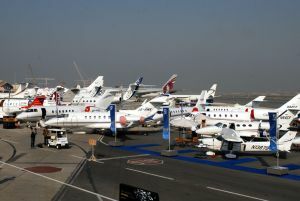 Several Gulf-based firms were promoting the sale of Boeing 737s. AeroToy Store had a hush-kitted 737-200 on display. At all the major air shows it is always the big plane orders that make the headlines, but in fact it is the lower echelon deals that take place in the chalets and halls that are the nuts and bolts of the industry. Typical was DAE Capital, part of Dubai Aerospace Enterprise US$40m order for wheels and carbon brakes for its planned Boeing 737 fleet. 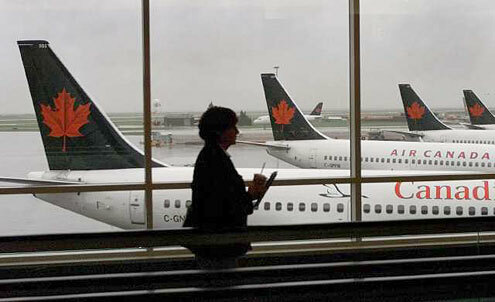 The pledge, to supply 70 Boeing 737 next generation aircraft to be delivered from the US plane maker from next year, went to Messier-Bugatti of France with DAE Capital CEO, Bob Genise, citing its “lightweight design, lower cost of ownership and resultant fuel burn reduction” as key selection factors. The location for the next show was still in doubt as the doors closed for the last time. 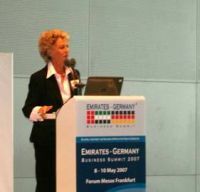 Plans had been made to move the entire exhibition to the new airport being built at Jebel Ali in time for this year, but completion of the new facility has been put back until June 2010 and there were clear indications exhibitors, buyers and onlookers will be back at Dubai's current airport in early November 2011. It is getting towards the time of year when we all try and think forward to next summer and holidays. For our main piece in this month’s cruise news AERBT thought it would take a look at the 2010 version of crossing the Atlantic. Only Queen Mary 2 offers any frequency on this relaxing way of travelling. And in true next year mood, for our Christmas edition we will review Disney’s latest The Disney Dream. If you are new to cruising read An Introduction to Cruising in the AERBT archive 20 April 2009. It was the arrival of the jet-powered de Havilland Comet 4 in October 1958 that signalled the end of the transatlantic luxury liners. If you were going to North America no longer were five , sometimes rough, nights needed at sea. The bonus was a dawn arrival at New York, the Verrazano Narrows (now a bridge), past the Statue of Liberty and up the Hudson River to Piers 90/92, the New York home of Cunard – White Star. 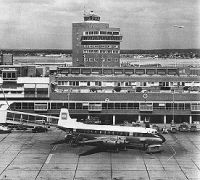 The Queen Mary and the Queen Elizabeth offered top quality fare for those in what we now call “the front end” in airline terms, and a more robust service for the majority, travelling in third class, the equivalent of today’s economy. Cabin class, a sort of premium economy, was also provided. Fast forward to December 2003 and the arrival of the RMS Queen Mary 2. RMS stands for Royal Mail Ship, a traditional title that QE2 did not have. Here was a ship worthy of the name and at the time the world’s largest passenger liner. QM2 is now a mature lady, leader of a fleet that includes Queen Victoria, and in 2010 the new Queen Elizabeth. Whilst most of us enjoy flying the North Atlantic there are some who will not take to the skies however much you might bribe them. There are others who prefer a more leisurely form of transport, and there is a third group who just enjoy being at sea, being pampered and taking in what is on offer, for up to seven nights. Cunard, for the last ten of its 170 years part of the mighty Carnival cuise ship empire, was quick to grab this market and now has it more or less to themselves. However it must be pointed out that at the start and finish of the European season many cruise lines reposition their ships, with some very attractive prices on offer. 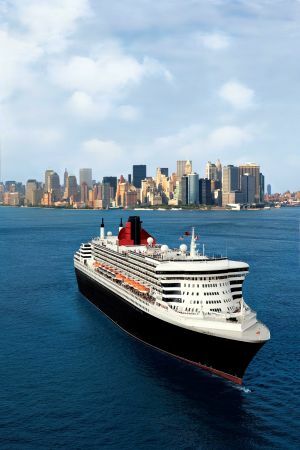 QM2 will make 26 crossings of the Atlantic in 2010, its New York home Red Hook, just prior to the Brooklyn Bridge, and very easy for Kennedy Airport. RMS Queen Mary 2 is big, very big. From a pure tonnage point of view, and also in terms of passengers, even larger vessels have arrived in service but these are pure cruisers, not ocean-going greyhounds capable of crossing the Atlantic at nearly 30 knots in the height of winter. QM2 is something special, a real showstopper. On her World Cruise this winter she will cause traffic jams at virtually every port she visits. QM2 carries a maximum 2,700 privileged passengers. If your need is to cross the Atlantic in 2010 make the time to try QM2. The cost is not excessive, starting at £949, one way by air via British Airways World Traveller. Throw in three nights at the Marriott Marquis in the heart of New York at Times Square and the starting price is £1,294 including transfers, a great deal. Of course you can upgrade and a junior suite including balcony, concierge service and dining in the splendid Princess Grill starts at £2,499. 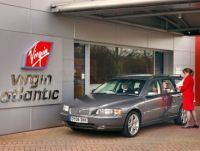 Add Virgin Upper Class or BA’s Club World and at £4,898 the price is less than the business class return fare. By taking the ship westbound you also escape Britain’s punitive airport taxes. Compare that with a week in a 4/5-star hotel in Spain during the holiday period. On the QM2 you get full board and literally 24-hour entertainment. You can fly to Southampton from most UK regional airports. 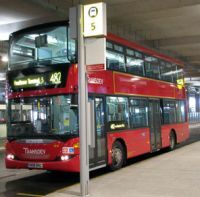 There are organised connections to the south coast port from either Gatwick or Heathrow. If you are trying to budget for the cruise expect to pay £6 per person per day as an all in tipping charge in Britannia Class and slightly more in the Grills. No shore excursions to include off course! Drinks are approximately at UK pub rates. The days of cheap booze at sea are long gone. The ship may be British but everything once on board is calculated in dollars. Internally QM2 is very much art deco in design with some fine embellishments and pieces of decoration. There are plenty of reminders of an earlier era when the stars and politicians used the original Queen Mary as their transport from America to Europe. Churchill was a regular and Crosby spent much time on his crossings actually assisting in the ship’s darkroom. Photography was his hobby. 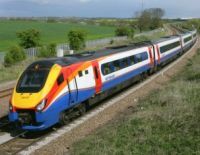 A frequently asked question is whether to take an eastbound or west crossing of “The Pond” bearing in mind that as many as 500 passengers will be making a round trip. There are certain advantages of the westbound crossing. You get a 25-hour day as the ship makes up for the time difference between the UK and USA. Marvellous for the late night types. Entering New York harbour at dawn is one of the great seaborne sights, although sadly the passage up the Hudson is no longer. Eastbound you can have your holiday Stateside and get your strength back on the way home, except here you are limited to 23-hour days and with the entertainment going on late it can be well into the early hours when you put the clock forward and go to bed. But it is straight into British time when you get home and no jetlag. sitting and an assigned table (as in Queens and Princess grills) for breakfast, lunch and dinner. The main standard class Britannia Restaurant itself, with its sweeping staircase, is awe inspiring with a dining room team only too happy to satisfy any specific requirements. There are two sittings. Getting around the ship is very easy, although it involves a lot of walking, and the disabled are very well looked after. QM2 is spacious and has not one but two proper theatres, The Royal Court and Illuminations, which also doubles as a real large screen cinema. However regular cruising types who try not to use the lifts in an effort to defeat one’s eating should be warned. QM2 has 13 active decks. Mechanical transport wins in the end. Old cruise hands will quickly take to QM2. Essentially it is the 21st century development of QE2, a ship that evolved over the years. 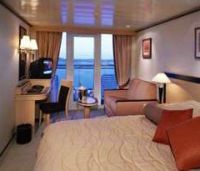 QM2 has a great deal more balcony cabins and amidships a large swimming pool with retractable roof, perfect for the North Atlantic. The stern of the ship is traditional with two more swimming pools and on the top deck a sunning area complete with daytime café (plus a helicopter pad). Deck 7 includes the promenade deck, each lap one-third of a mile. It is exposed to the elements but this did not seem to deter the many hardy souls happy to jog or walk along, everyone at a different speed, whatever the weather. 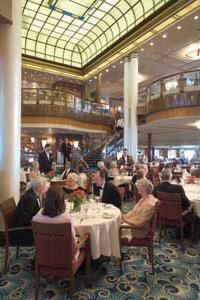 The massive width of QM2 allows for a great deal of flexibility regarding the internal design of the ship and this is particularly noticeable with the informal eating area, on most cruise ships not much more than a glorified cafeteria. With QM2 the location, known as Kings Court, is divided into four quarters (which become themed restaurants at night) with small dining recluses actually projecting out into the promenade deck (but somehow not obtrusively). It is more intimate and you can eat when you like as an alternative to the main restaurant. On the North Atlantic each day can be very busy, or you can sit out and catch the sun. Cunard Captains attempt to keep with the good weather. Long gone are the days when each liner tried to be the quickest. QM2 has evolved a sunshine route across the Atlantic and has more than enough speed to meet a six or seven day schedule. 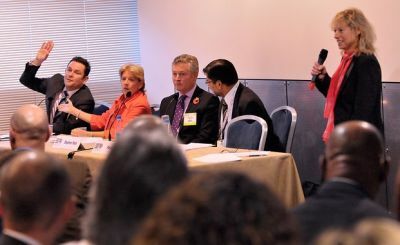 Choose your crossing to suit your interest with the specialist lectures that are featured. Early risers can take a continental breakfast from 0400, or in their cabins at any time. From 0815 the ship swings into life with the Canyon Ranch Fitness Classes. There is Bridge from 0900 (for beginners too) and every day a series of lectures and talks typically covering history, politics (Cunard Insights) and even an acting workshop by RADA (Royal Academy of Dramatic Art). You can play darts in the Golden Lion pub, get involved in a cookery demonstration in the Chef’s Galley, or just relax in the splendid spa. There is also bingo. After all this is a British ship and in the same vein, karaoke. 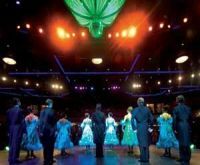 Each evening a spectacular show will delight all in the Royal Court Theatre and you can dance away the night in the elegant Queen’s Room, the largest ballroom on the seven seas. A 24-hour buffet makes it all possible. There is a suite of private rooms which also double small lecture theatres. Cunard is making efforts to get into the conference market Queen Mary 2 (and Quenn Victoria + Queen Elizabeth for the future) very well equipped and the North Atlantic crossings ideal for a "get away from it all" proffesional gathering with relaxation not far away. Some attractive packges are being put together. The ship’s daily newspaper keeps you up to date with the British news (other language versions available) and printed internet adaptation of the nationals are available. The ship is best described as computer literate. Every cabin has an interactive TV screen and keyboard and for a nominal sum you can send and receive email. Keeping in touch in the middle of the Atlantic has never been cheaper. Or you can cut yourself off completely.